Beautiful condition, lovely dress! stored airtight, after being cleaned. delicate lace champagne color with beautiful light weight beadwork. Ready to be loved again! 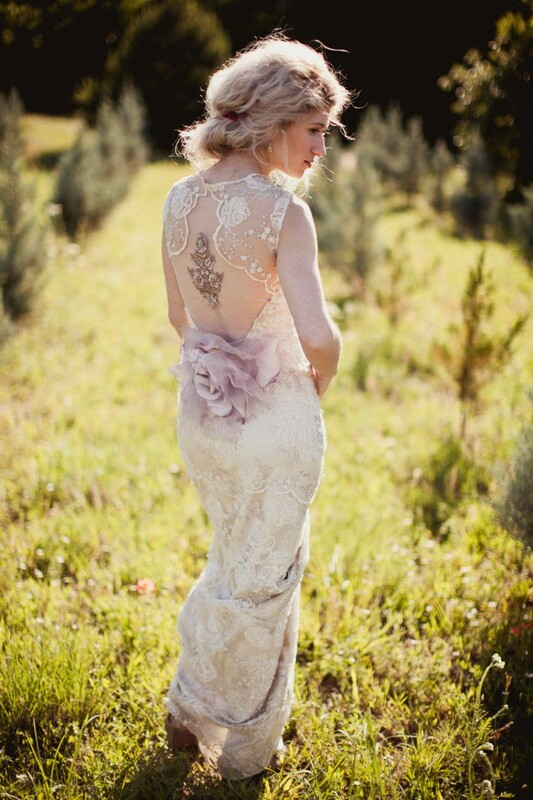 such a whimslical and lovely Claire Pettibine classic. I am 5'5 and I wore a 3 inch heel, the dress reflects that length. Once you send a message, T0ul0use can invite you to purchase the dress.